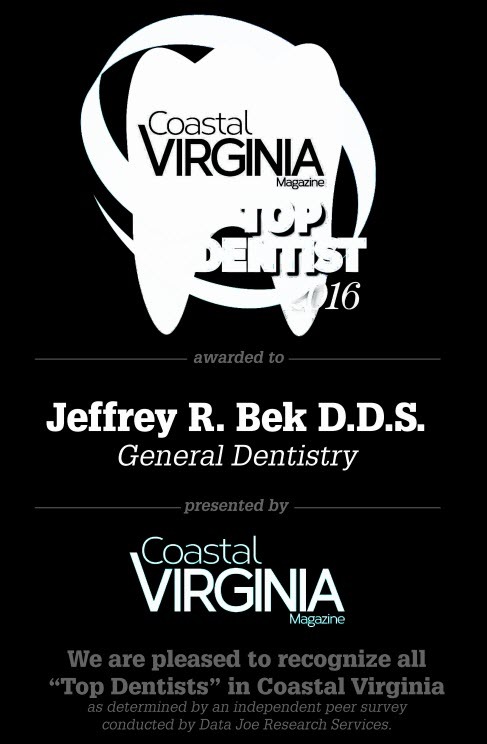 Dr. Jeffrey Bek graduated from the Virginia Commonwealth University School of Dentistry with honors in 1987 and immediately entered service with the United States Air Force where he completed a 1-year General Practice Residency and then served an additional 3 years. Upon leaving the Air Force, Dr. Bek and his family moved to Virginia Beach and have been residents since 1991. He and his wife, Becky, have been married since 1981, and have three children who also call Hampton Roads home. Maintaining current knowledge is critical to providing consistently excellent dental care, so in addition to the General Practice Residency, Dr. Bek has completed hundreds of hours of continuing dental education in topics which include all of the dental specialties. 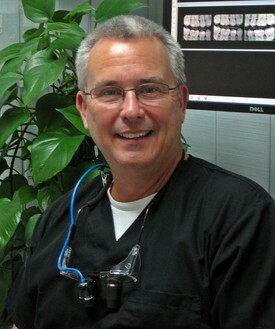 He holds membership in the Tidewater Spear Education Dental Study Club, the Tidewater CEREC Study Club, and is Past President of the Seaboard Dental Study Club. Dr. Bek has been treating patients at this location since 1999, and established his practice in December 2001. He enjoys a variety of outside interests including golf and travel, but his true passion is dentistry and helping his patients derive the benefits of healthy teeth and beautiful smiles! !